Learn how fast and easy create cool interior scene with the help of 3ds Max and some other plugins. 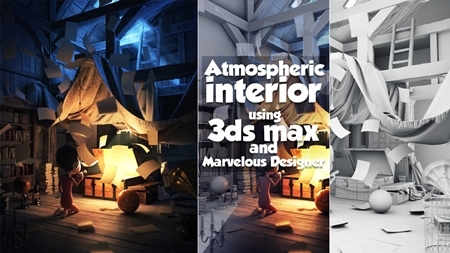 In this course, you will learn how to create and visualize atmospheric interior using 3ds Max and Marvelous Designer just in 3 hours! 9 videos will show you the process of creating beautiful result in simple steps. 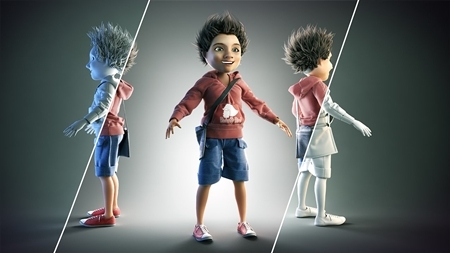 If you are beginner and mid-user of 3ds Max this course is perfect for you! The course will give you a lot of useful information about setting up the light in your scene. You are going to learn how to use some useful plugins making the process of creation much easier! If you really into creating cool interiors with interesting atmoshpere this course is definetely for you! Students should have installed 3ds Max, V-Ray and Marvelous Designer. All of the links for trial software will be added in the description of the lessons. Also Photoshop and After Effects are needed. Create atmospheric scene using 3ds max! Get best knowledges of Marvelous Designer! Set up light in your scenes much cooler then ever!